Posted in: Daily Posts. 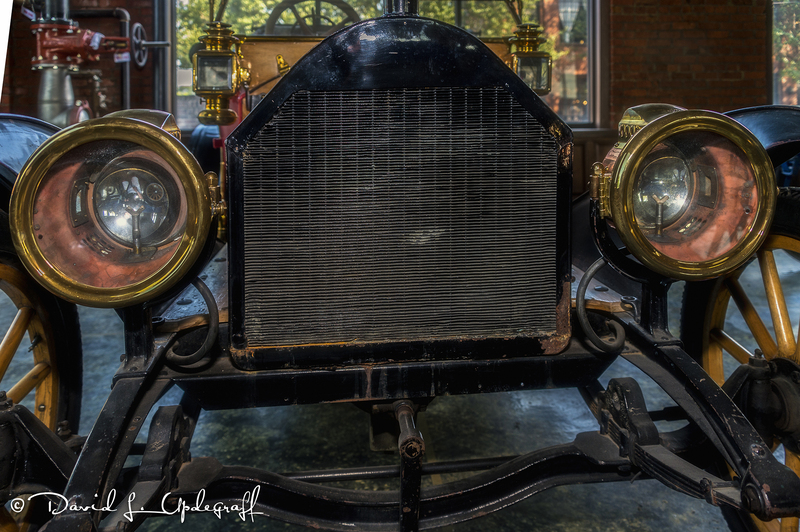 Tagged: Marathon Motors, Nashville Tennessee, Photography, Southern Automobile, Vintage Automobiles. Some images from our shoot (on the first day) at Marathon Motors. We arrived around 7:45 a.m. and we were allowed to photograph the vintage automobiles for about 45 minutes before it was opened to the public. We had been listening to Joe McNally about how to photograph a subject outdoors in harsh light (until the building was opened) so everyone was pretty warm from the high humidity by the time we got inside. 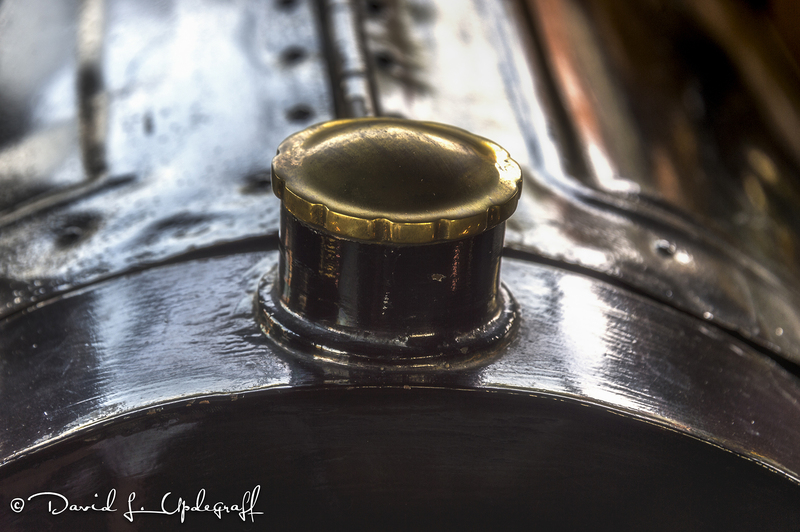 I spent a lot of time photographing this old antique automobile. There was some information about the vehicle and I did make notes to talk about it later but of course I haven’t been able to find those notes so I can’t tell you anything about it other it was built between 1911 and 1913 and I believe it was called the B9. 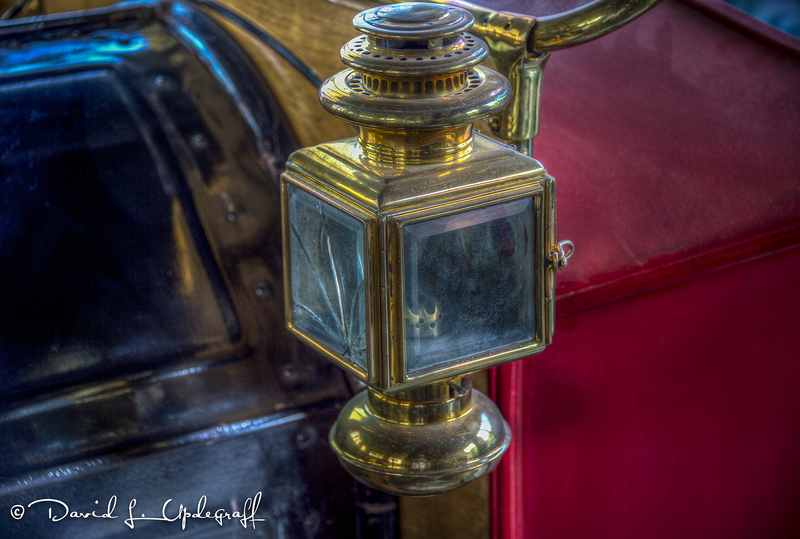 As I walked around the display area thinking about what I wanted to photograph and how I wanted to photograph it I was struck with the stark differences between these vintage conveyances and the vehicles we enjoy today. These vehicles provided transportation for sure but that’s about it. They were a lot of work just to get them running and then driving them had to be a significant challenge in its self. The vehicles are not what I would call “restored” they are more like preserved. All the rust and chips are still there and the upholstery is in pretty bad shape. It was fun to see these vehicles this close. In 1884, the Southern Engine and Boiler Works opened to business in Jackson, Tennessee. The company manufactured gasoline engines and boilers for industrial use. In the first twenty years, by 1904, it had grown into the largest plants of its kind in the nation. By now, the automobile was the new darling of industry, as literally hundreds of companies jumped into their manufacture and production. Most new car brand names belonged to companies that bought and assembled components into complete cars. Fewer, more ambitious companies manufactured the entire vehicle to their own designs for engine, chasses, running gear and suspension. At Southern Engine and Boiler Works, a young apprentice engineer, William Henry Collier, accepted the challenge of complete design. His enthusiasm — and yes, genius — persuaded the directors of the company to let him to build his car. The company newsletter reported Collier put the first gasoline engine into an automobile in 1906. In recounting the occasion, the newsletter bluntly reported, “…should move, but don’t.” It was another year, 1907, before Collier had a car that “actually could be depended on to go, and come back.” With this success, eager investors poured $50,000 into the company by 1908. By 1909, two models were offered — the A9, a five seat touring car, and B9, a rumble seat roadster. Both had 35 hp 4-cylinder engines, with the cylinder blocks cast in pairs. Cylinders had a 4.25 inch bore and a 4.5 inch stroke, sitting atop a two-piece aluminum crankcase. A unique feature was a vertical shaft at the rear of the block that drove a pump in the crankcase that splashed lubricant for the cylinders above. The usual spark and throttle levers were on the steering wheel. The price of either car was $1,500, but tops were an optional extra expense. Newspaper reports at the time put the production figures of 1907 at 20 cars, 1908 at 200, and a whopping 400 units actually on the road during 1909. The car was called Southern. During this time, another manufacturer was found using the Southern name. A competition was held and a Jackson, TN high school girl supposedly came up with the winning name “Marathon”. In late 1910, the company relocated to larger facilities in Nashville, where new models were added and production soared, but still could not keep up with demand. Collier remained in charge of manufacture, and H.H. Brooks handled sales. Each subsequent model found enthusiastic buyers and dealers from all over the world. European countries plus Brazil, Chile, Australia, and China flocked to Nashville begging for more cars. Production capacity, reported at 10,000 a year by 1912, could not begin to fill demand, but number of cars actually built is not known. Collier was controlled by constantly changing board of directors who apparently forced the company into some unwise business decisions. There were hints of impropriety, such as company officers selling cars “out the back door,” and suppliers were suing for nonpayment. In late 1913, Brooks left to join a large dealership in Indianapolis, the Herff brothers, who eventually bought all the machinery in Nashville and by 1915, continued manufacturing the car in Indianapolis under the new name, Herff-Brooks, which lasted two years. Thus, 1914 marked the end of the Marathon, and the city of Nashville as the manufacturer of a car that, at the time, seemed destined to dominate the market.